Our telephone number is 1300 366 611. If calling from within Tasmania you will pay only the cost of a local call. Your call will be answered by a lawyer. During busy times, you may need to leave your name and number for a lawyer to return your call within one business day. Calls will be returned Monday to Friday between 9am and 5pm. When can you phone a lawyer? Monday to Friday between 9am and 5pm. Who can receive legal advice? Everyone can receive free legal advice from our telephone advice service. You will speak directly to a lawyer. What other information or advice is available? helping you choose a lawyer to suit your needs. 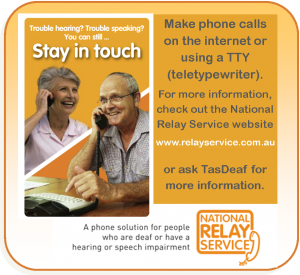 If you are deaf or have a hearing or speech impairment you can use the National Relay Service to call us. This is a free service. For more information about the National Relay Service, including fact sheets and video demonstrations, check out the National Relay Service website.